Four times Gold Glove Award winner Mark Grace is a famous American former baseball player in the Major Baseball League(MLB) currently working for FOX Sports Arizona as their sports analyst. During his playing career, Grace played for Chicago Cubs (1988–2000) and Arizona Diamondbacks (2001–2003). 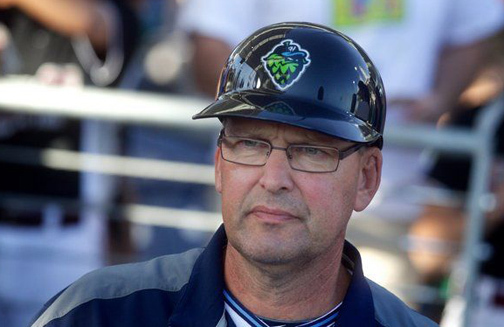 Mark Grace reportedly earns around $75,000, as his yearly salary from the network. As of 2019, he reportedly has an estimated net worth of over $25 million. Mark was married twice but his marriage didn't last long and got divorced. Besides, he has two children Preston Torre Grace, Jackson Gene Grace. Mark Grace was born on June 28, 1964, in Winston-Salem, North Carolina, the United States to parents Sharon Grace and Gene Grace. He is of American nationality and belongs to the White ethnic group. Mark joined the Tustin High School and later attended the San Diego State University where he played baseball. The American sports analyst/former MLB player Mark Grace has an estimated net worth of $25 million similar to that of Albert Belle. As of 2019, Grace receives an annual salary of $75,000 from his successful career with FOX Sports Arizona. Furthermore, he earned $100,000 in 1988, $100,000 in 1989, $300,000 in 1990, $1.2 million in 1991, $2 million in 1992. The average of broadcast analysts is $78,200 a year. Since higher wages can sometimes skew this number, median wages are often used to predict earnings. Half of all broadcast analysts earned $56,680 a year or less, according to the Bureau of Labor Statistics. Mark got married to his girlfriend Michelle Grace in 1988 after being in a longtime affair. He later divorced her in 1993 but the details regarding their divorce are not disclosed yet. After that, he married his girlfriend Tanya Avila in 2002 but this marriage also didn't last long for Grace and got divorced in 2006. The couple dated for several years before getting married. Mark is blessed with two sons Jackson Gene Grace (2000), Preston Torre Grace (2003) from his second wife Tanya Avila. Mark has a charming personality who is very much focused on his career. Moreover, Mark was popularly known for smoking during his games in the clubhouse. Mark was also arrested twice because of driving under influence in 2011 and 2012. Besides, Grace defined what he called a' slump buster' in a 2003 radio interview with Jim Rome on Rome is Burning: "A slump-buster is if a team's in a slump, or if you personally are in a slump, you gotta find the fattest, gnarliest, grossest chick and you just gotta lay the wood to her. And when you do that, you're just gonna have instant success. And it could also be called jumping on a grenade for the team." Currently, he is residing in Paradise Valley, Arizona along with his children. Mark began his playing career with Chicago Cubs with some of the popular players including Sammy Sosa. He played with several MLB teams including Arizona Diamondbacks. After retiring from playing career, he started coaching but later got fired by Diamondbacks in 2016 season. After that, Mark entered the broadcasting field where he worked with FOX sports and is currently working for the FOX Sports Arizona. From 2004 to 2006, he was paired with Thom Brennaman on TV and from 2007 to 2012 with Daron Sutton. He was later replaced by Eric Karros.